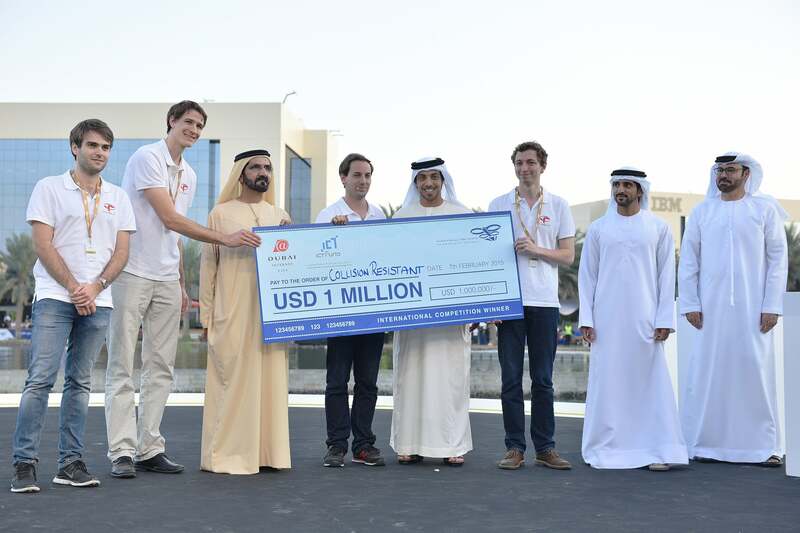 Switzerland-based Flyability won the US$1 million grant in the international category. Unmanned Aerial Vehicles (UAVs), mostly known for military operations, have a bad rep and Drones for Good aims to change that. Launched by H.H. Sheikh Mohammed bin Rashid Al Maktoum, Vice President and Prime Minister of the UAE and Ruler of Dubai during the 2014 Government Summit, the UAE Drones for Good Award seeks to highlight the use of drones to improve (and even save) lives. Teams demonstrated projects at a two-day event at Dubai Internet City for a panel of international judges. Receiving more than 800 entries from 57 countries, relief services proved the most popular, followed by the categories of civil defense services, economic development and environmental concerns. Beating out five finalists from the original 39 semi-finalists, the Switzerland-based Flyability won the US$1 million grant in the international category. Inspired by insects, the collision-resistant Gimball drone can fit into tight spaces and safely fly close to potential survivors in rescue missions, protected by a rotating outer frame. Winning the government category, Etisalat’s Network Drone can fly to areas with low signal strength (such as deserted areas and mountains), and increase reception. NYU Abu Dhabi’s team took home an AED1 million prize for their Wadi Drone that uses software relating to animal and environmental conservation- it collects data without the risk of damaging the natural habitat. Sanad, a drone controlled via iPad. This octa-copter drone can be used for rescue missions such as lifting people to safety.